There are candidates who think that they can get away with lying on resume here and there. Some of them even go to the extent of proving them right too. 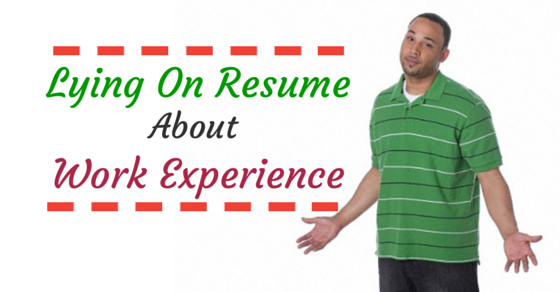 You might have come across people who have fake work experience resume. They say that they have worked for 3-4 years when in reality they have only worked for 1 year. They try to produce fake experience letter and think that the company they are appearing for the interview will not be able to get to the bottom of his lie. But, it is not the case, when the background check is held, they go deep into the matter and they ensure that every document that has been produced during the interview, including the educational qualification certificates and the experience certificates are all valid. One simple lie can cost you your job, but, this simple truth is hard to digest for the candidates who are desperately looking for a job. They think that they can make their resume as per the job description and they will bag the offer without any verification. It is such a lame thought to have. Companies look at the talent that candidates have and they rely on what you say more than what you have written on the piece of paper. If they feel that something is wrong, they are an expert at sniffing out the truth of it. It might not only cost you this particular job, but it might hamper your future job offerings as well. So, why take such a risk when your career is at stake? If you are not getting a job, then it is better that you look into yourself and groom yourself better, rather than lying on a resume. 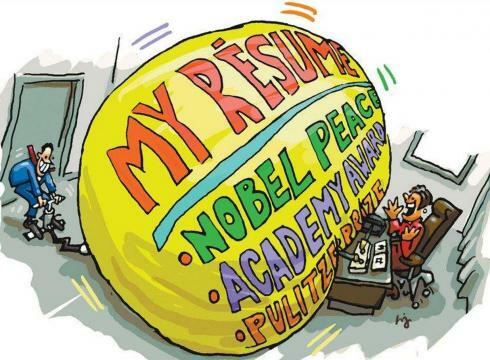 Though it is not a very good practice, sadly it is the fact that it has become quite common to lie on a resume. Some people just don’t understand that the people sitting on the other side of the table are not a fool who will believe whatever you say on your face value. They will do their bit of investigation to ensure that you have said everything correctly. You will be glad to know that most of the hiring managers get to know whether the candidate is lying or not during the interview itself. In a recent survey conducted by CareerBuilder, they have agreed to the fact that they have seen a rise in lying on resume more after the recession. People are desperate to get to work and for that, they are taking to all the wrong paths. If you want to get noticed for all the wrong reasons, then you can go ahead and include all the lies regarding everything on your resume, but, if you want to keep your track record clean, then it is better that you stay away from all these unhealthy ways. Don’t blame the poor souls who are so desperate for getting a good job because some of the big names also were caught producing fake documents. The Attorney General of Connecticut, Richard Blumenthal, who was running for the US Senate during 2010, was also charged by the NY Times for fabricating the documents regarding his combat experience. Though it is true that he joined the US Marine Corps Reserve, he was not part of the troop who served in Vietnam. He is not the only one in the race who has done it at this level. There are other names too, Mark Kirk, another candidate running for the US Senate also forged his documents regarding an award that was given to the soldiers who served in Iraq. He never received that award because of the fact that he never ever served in Iraq. Whenever someone is caught doing that they come up with the same old excuse that everyone is doing that. But, now the companies are getting stricter by the day and they don’t have any room of mercy for people who forge documents or lie on their resume. Zero tolerance is what the companies are looking at. There is a thin line of acceptance, if your GPA is 4.49 and they have written 4.5, then it can be excused, though they will be questioned a lot about why they did that, if the candidate has stretched it to 5, then it is definitely not a silly thing to do and it is not excusable at all. Most candidates think that the companies will not go to the extent of verifying the minute details that they have forged. But, they are actually highly mistaken because the companies do a detailed background check. They want to make sure that they have onboard an honest candidate because if you start your career with a lie, then it is pretty much sure that you will lie again in future as well. So, why take that risk? Therefore, the companies ascertain that the candidates they are selecting are true and loyal. Now with the help of social media in hiring , it has been much easier for companies to get the cat out of the bag. You just have to type in the name of the candidate on any social media networking site and it will come up with educational details and the work details along with the time frame that they have served there. If there is any discrepancy found regarding any details between the resume and one of these sites, then also the candidates will land in a big soup. Why would you lie? Be prepared to answer this question! If you are saying that you were responsible for saving a huge percentage of the cost of the company, then you will be asked how you made that possible, what was your plan and how you implemented that. To get to know whether you were just part of the team or you were the mastermind they will ask you to do all the calculations that were involved and it will give them the idea about the truth behind your explanation. If you go through the reports of the Society for Human Resource Management, you will see that people who are convicted for stealing has applied for jobs in a bank and you will also find out the applications of convicted rapists in the offices where a major percentage of workers are females. They think that they are too smart to hide all these details from the background check that is conducted, but as is the case, they are completely wrong. Now the companies are getting more and more alert and they are digging even the buried cases to find out the truth behind it. So, people who thought that they can easily get away with lying on resume must think again. The competition is stiff, but there is always a job for the deserving candidate and if you think that you have the talent, then it is time that you start working on things that you are lacking, rather than wasting your time in lying about things and wasting some golden opportunities. If you have mentioned any of these lies that are mentioned here, then you must be kidding, because these are the silliest kinds of lies that anybody will understand. There are some others who just take everything for granted and think that whatever they are writing on the resume will be assumed to be true without any verification. But, as mentioned earlier, it is never the case and it is more so because now the competition is so stiff that the companies have become even more selective than before. There was one candidate who has written that he was a medal winner from the Olympics. In another company, there was an applicant who actually used his father’s experience to fetch him a job. He and his father had the same name with the only difference of Jr. and Sr. and he thought he can easily forget that! You will understand how desperate these candidates are by the extent of the lie they include on their resume and one such candidate said he served as Prime Minister of a country where in real; there is no Prime Minister rule at all. Some even go to the extent of including job experience of days in different companies. They might have served one or two days in a company, but they will include that on a resume, but when the background check is done, it is found out that they have only served for a few days and in some cases they just have accepted the offer letter, but have not joined the company. The most hilarious was the one when an applicant has come up with a work experience of around 26 years whereas his age is only 32 years. So, is he working from the age of 6 years old? What made him come up with such a vague thing, only he knows! These are not all, instead there are some who applies for a position in the same company twice, but provides two different work experiences altogether. There has been a colossal rise in the percentage of people who have forged their work responsibilities. When they were just part of the team that performed well, they will tell the interviewer that they were leading the team. They will come up with almost all the details that were part of the process, but what they forget is that not everything will be known to a team member. The candidates must look through the job description very well and then look into the experience that they have and the skill set they have, if they think that it matches, then only they must go ahead with the application otherwise, they must look for other jobs. Whenever you will seek expert advice on how to prepare your resume for some interview, you will see that the experts say that you must customize your resume as per job description. But, does that mean they are asking you to fabricate details? No, it simply means that you must highlight the skill set that suits the bill perfectly as per job description. There is a very thin line between self-promotion and a lie. 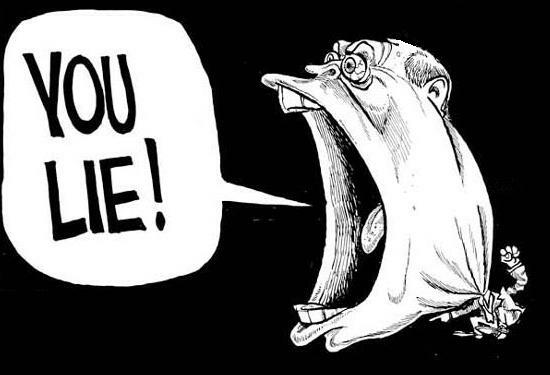 If you go overboard with self-promotion and speak of something that you were not part of, then it is a lie and it can be quite risky and damaging to your career. You can promote yourself by pointing out your qualities, but that doesn’t mean that you need to take the help of a lie to prove that you are worthy of the position that you have applied for. If you are looking at the employment experience, then you will witness that mostly the candidate’s fib about the companies which have been sold out. They think that the company will not be able to verify the truths about the job experience and the roles they have played in that particular company because it doesn’t exist now. You can easily connect with ex – colleague of the candidate through the LinkedIn platform and know the truth about the details provided by the candidate. So, the candidates must be aware of all these avenues through which the truth can be brought forward at any time point of time. If you have gaps in between two jobs, then you can explain that in your cover letter. You can explain the project work that you were doing in between and you were not actually sitting idle. Instead of forging an experience for that period of time and losing the job opportunity, it is good if taken up the challenge of making the interviewer understand why the project was so important for you. If you are working on extra responsibilities other than your regular work, then you can include that on your resume, but remember you must not change the job title. If you are a Senior Executive who shared the responsibility of the Manager when your Manager was promoted or away for vacation, then you can include the responsibilities that you shared, but you must not say that you were a manager because when the background check will be conducted your ex-company will verify the truth. Even in case of salaries, if you feel that your payment was not that good in your previous job, then you can come up with relevant points to second the thought. But, don’t come up with an imaginary figure just to get a hike in your next job. You can do your research properly to justify that the candidates who have been doing the same kind of job in other companies are much higher paid than what your salary is right now. This is the reason you have been asking for the hike that you have mentioned in the expected salary column. Moreover, if you feel that you lack some skills, then you must enroll in a class which will provide you the knowledge of that, rather than lying about it. If you feel that you have time to enhance your skill set, then you can mention that in your interview that you are committed to learning that skill pretty soon as you have enrolled your name in the class. This will impress your interviewer more than lying about the skill sets and later finding out that you don’t have much knowledge to accomplish the task which involves usage of that particular skill. While you are applying for the job, fill up the application form with all the true details about you. Don’t lie in there if you have ever been convicted of something. If it is a minor issue, then also don’t overlook it, instead update the information. You might be thinking that DUI doesn’t count under criminal offense, but if you have been convicted for that, then it is very much important that you admit to it. It might happen that the company will hire you because you are deserving candidate and they overlooked the fact that you have been booked once under DUI, but if you do not mention it and they find it out in the background check, then you will lose out on a good job offer just because you made this mistake of not mentioning one charge. Be honest, because if you are not, then the company is going to find it out any ways. Though, till date the Hiring Managers are overlooking some slight false representation, but if you are going for some big lies, then you will not be excused at all. In a quest to stand out in the crowd, don’t get involved in any kind of a wrong representation at all.